One of the most important truths to walking out what God desires for us is an area that is not talked about often enough, but is in fact a must for believers if they want to mature and no longer be ruled by their old fleshly nature. Man is a three part being. Man is a spirit who posses a soul and lives in a body. We are not a soul nor are we a body, we are a spirit being. Most of the time when we refer to ourselves in the first person we are referring to our soul or our body. Once born again our spirit man becomes brand new, recreated in the very image and likeness of God. If you want to mature as a believer you must learn to develop who you really are, your spirit man. Man has learned how to develop the body through exercise and diet. Man has learned how to develop the soul through study and education, but the one area we have had little understanding in is how to develop our spirit man. Paul addressing the Corinthian church reveals that they were still fleshly, carnal, nonspiritual Christians. They were still being dominated by their carnal nature. Because of this he could not speak to them as to spiritual men and women of God, which simply refers to being dominated by their spirit man within. 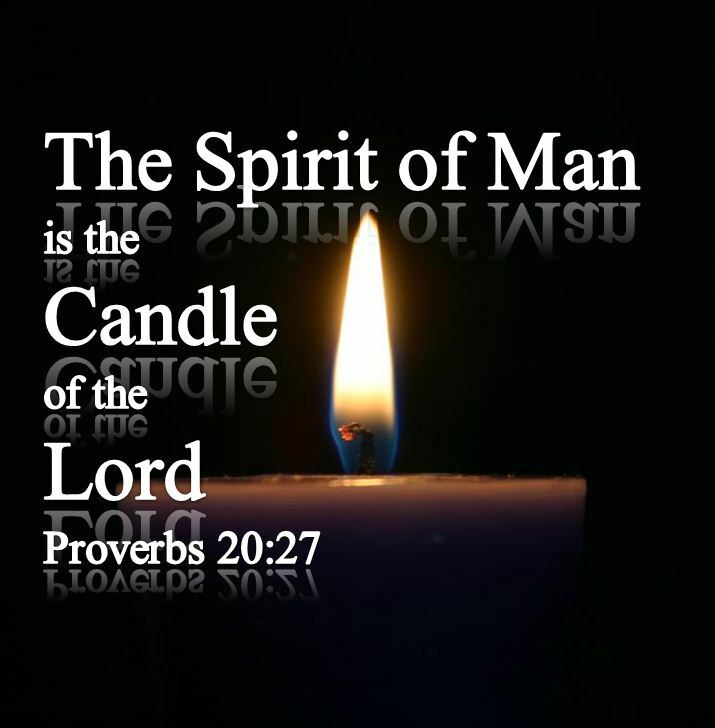 The more we develop our spirit man, the less carnal and immature we will be. One who is spiritual is also tuned in to the Spirit of God within them, following God’s leading for their life. Just as it takes discipline to develop the body and the mind, there are also spiritual disciplines necessary to develop our spirit man. This week I want to share with you some of the key elements that scripture reveals of how we can develop our spirit and become spirit ruled instead of carnally ruled. Just being born again does not obviously deliver you from being carnally ruled for if it did this would not have been an issue for the Corinthians. So let’s dig in to the things that we can do to develop our spirit and become spirit ruled Christians. Eph. 4:23 Instead, there must be a spiritual renewal of your thoughts and attitudes. The first key to developing your spirit man is to become spirit conscious. We must renew our minds through the Word of God to do so. You will see throughout the New Testament that most of the references where the writers refer to themselves in the first person they are referring to their spirit, not the soul or the body. When someone says they are depressed, they are referring to their soul. When they say they are sick, they are referring to their body not their spirit man. To renew your mind to become more spirit conscious you need to find scriptures that reveal the real you, your spirit man within. As you do you will begin to see a whole new picture of who you really are. One such scripture can be found in 2 Corinthians 5:17 where the Holy Spirit through the apostle Paul declares that anyone who is in Christ is a new creation, old things have passed away and all things have become new. The words for new creation actually refer to something that did not previously exist. When you become born again, in that instant you put your faith in Christ, there is a supernatural event that takes place within. God replaces your old spirit man with a brand new spirit. This brand new spirit that comes into existence when one is saved is one spirit with the Lord. A born again spirit is one that has been recreated in the very image and likeness of God. The spirit man you used to be is no longer there. You become completely brand new on the inside. God’s very DNA now resides in your spirit man. You are instantly changed and now have all of the fruit of this new born again spirit within you. Love, joy, peace, longsuffering, kindness, goodness, faithfulness, gentleness, and self-control are now residing in your new spirit man. If we develop our spirit man and become spirit ruled, these fruits will begin to manifest through our lives. Another powerful verse to renew your minds to become more spirit conscious is found in Galatians 2:20. This scripture reveals that one who is born again has been crucified with Christ. This again is referring to our spirit man. Paul goes on to state in this scripture it is no longer I who live, but Christ lives is us, and the life we now live in the body we live by faith in the Son of God who loves us and gave His life for us. The old man is gone and the new man has come, made in the image of Christ Himself. Here in 1 Corinthians 14 we clearly see that when we pray in tongues it is our spirit man that is doing the praying. It is not coming from your soul, which is your mind, will, and emotions. It is your spirit man that is doing the praying as the Holy Spirit gives your spirit the utterance. Having the ability to pray in tongues is a result of being baptized in the Holy Spirit. This is clearly seen through the book of Acts as a separate experience from being born again. One becomes baptized in the Holy Spirit when they simply yield themselves fully unto the Holy Spirit and allow Him to come upon them. It is easy to see why the devil has worked so hard to convince Christians to have nothing to do with begin baptized in the Holy Spirit. It is a powerful part of our walk with God in which we become empowered to be a witness for Jesus Christ. One of the evidences that someone has received this in their life as revealed in scripture is praying in tongues. There are many benefits to praying in this supernatural language. One such benefit is that we are allowing our spirit man to do the praying and this helps us to become more dominated and aware of our spirit. When you pray in the spirit scripture reveals you are building yourself up as it edifies you personally. The you that is built up is your spirit man. Praying in the spirit is the easiest way as a believer to instantly allow your spirit man to become the dominant part of your three part being. You are also praying in the perfect will of God when you pray in tongues. There has been a lot of misunderstanding about tongues in the church. When you carefully study 1 Corinthians 14 you will find that Paul states we should not speak to one another in tongues in church, but he does not say we should not pray in tongues. As a matter of fact he states we should pray in our understanding (natural language), and pray in the spirit as well. When you speak to someone in tongues, not praying to God in tongues, Paul states it should only be done if there is an interpretation given of what was being said in tongues to that person or persons. When we pray in the spirit we are speaking to God, not to man. It is easy to understand why the devil has worked so hard to get Christians and even Christian leaders to have nothing to do with being baptized in the Holy Spirit. It is a major part of what builds our spirit man, and remember; the more we develop our spirit the less carnal we will be. Satan loves for Christians to be carnally ruled because they are powerless against him and easily taken advantage of. If you want to develop your spirit man and you have not been baptized in the Holy Spirit, just yield to the Spirit of God and ask the Lord to baptize you in His presence; and you can begin to pray in this new and powerful heavenly language. Eph. 5:1 Imitate God, since you are the children he loves. Eph. 5:2 Live in love as Christ also loved us. He gave his life for us as an offering and sacrifice, a soothing aroma to God. God is a spirit and certainly therefore not carnally ruled because He is not carnal. We are to imitate Him as His children. We do so by walking in love just as Jesus walked in love. Walking in the love of God means we treat others the way we would want to be treated, no matter how they treat us. The very first fruit of our spirit is God’s love. When we choose to yield to the love of God we are yielding to our spirit man. As we walk in the spirit, we will not fulfill the lust of our flesh. Our spirit man begins to dominate our entire being and we become more aware of who we really are. As 1 Thessalonians 5:23 reveals, we are a spirit, we have a soul, and we live in a body. The more we learn to develop our spirit man; we will begin to see things as God sees them. We will become more conscious of the Holy Spirit who bears witness with our spirit. We will also no longer be a carnal Christian, ruled by our flesh but instead we will become mature believers, seeing the power of God working in and through us to fulfill His will by changing the lives of others. You are a spirit, you have a soul, and you live in a body. Develop your spirit man and you will live a whole new life as a child of God. You cannot go by your feelings. We walk by faith and not by sight. Take time to meditate on scripture speaking what God’s Word says about you over and over. Tell yourself who you are in Christ. If you are baptized in the Holy Spirit take time to pray in tongues. When you do your spirit man is praying. This too will help your spirit man dominate. Developing your spirit man takes time and most importantly consistency. If you stay with it your spirit man will develop and become the dominate one in your life, the real you on the inside.